Finishing up senior year can be overwhelming, and most high school graduates are thrilled to have a few weeks of peace and quiet before they move away to college. 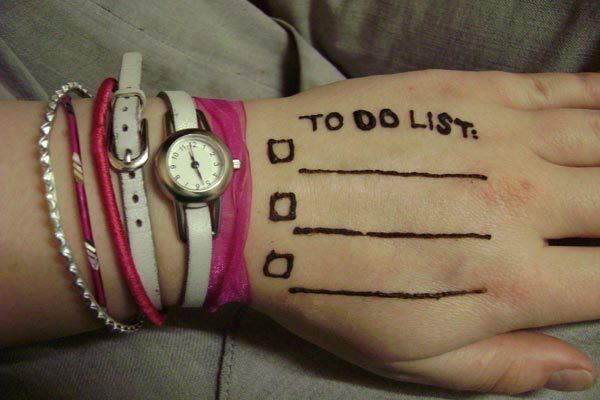 Although rest and relaxation are well deserved, it's important to check a few things off your to-do list before leaving for school. The first weeks of freshman term can be daunting, and you’ll be busy with classes, friends, and student activities. Do yourself a favor and get these things out of the way prior to your move-in date. The last thing a college freshman wants to deal with is figuring out where to put their money the first week of classes. Students should open an account over the summer with a bank located close to campus, or better yet one located on campus. Students who are traveling out of state can open an account at their local bank branch as long as they confirm that one is located in their new town. Countless college freshmen have walked into their first day of class without a textbook, assuming the professor will tell them all about it in the syllabus. In some cases this will be true; however, larger universities will expect students to know which textbooks they are using and have them prepared for the first day. Many students will sign up for an extra class knowing they can drop one without penalty and don't want to purchase an expensive textbook for that course. If this is the case, the student should have the title, author, edition, and ISBN # for these books so they can purchase them immediately if they decide to stay in the course. It's a good idea to talk with your new roommate through social media or Skype to get to know him or her and feel comfortable sharing a room for up to a year. Prior generations were often concerned about the stress of getting to know a stranger with all the other things going on the first week of college. However, with today's technology, there's no reason why roommates have to be strangers when they meet for the first time. Very few new college students have sat down with an academic counselor prior to the start of school. Students who are moving out of state should move a week early so they can familiarize themselves with the campus and meet with a counselor in person. If this is impractical, students should, at the very least, get in touch with an academic counselor by e-mail so any time-sensitive curriculum questions are answered when they arrive on campus. Students who live in the area have no excuse to put off seeing an academic counselor and should make an appointment ASAP. Remember, incoming students will be the last to get appointments because returning students have priority. New students should expect to wait at least three weeks before they can see an academic counselor in person. Students who live within a reasonable driving distance from campus should make an effort to explore the area prior to the start of school. Freshman orientation will cover the campus itself and a few basic things nearby but will not give students a true feel for the town they will be living in. Because many college freshmen experience homesickness, it’s a good idea to make the town itself feel like home prior to moving. Students who live several hours away from their university can explore town online through Google Maps or other online platforms such as Trip Advisor or Yelp to see what’s in the area. Incoming freshmen should also conduct an extensive review of the general education curriculum prior to arriving on campus. Students can wait to research courses in their major at first, since they’ll have two years to figure this out. However, it's important to have a game plan for getting through the first two years or the first semester at the very least. Students who fully understand the curriculum and list of courses can avoid taking courses they dislike and save their elective units for something fun. Additionally, students who understand the curriculum are more likely to earn their degree in four years.